Thinking about the Spectra 9? Find out why this little pump is largely overlooked in a competitive breast pump market! 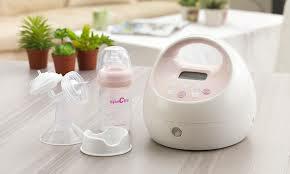 Spectra breast pumps are quickly becoming a favored brand by many moms. They boast a number of breast pump options that fit the needs of all moms. The Spectra 9 is one of their most portable pumps. Measuring about as big as a cell phone and weighing in at less than a pound, this pump can easily fit into your purse making pumping on the go its main feature. Very portable! Easy to carry and lightweight. Features a Letdown Mode – With a touch of a button, stimulate your milk to flow by switching to “Letdown Mode.” The fast and lighter section of this setting mimics a hungry baby to help get your milk flowing. Control of cycle speed & suction strength. Built-in rechargeable battery – Can be used plugged in or with the built-in battery that lasts up to 3 hours. LCD display that allows you to easily adjust the pump speed and suction strength, keep track of how long you have pumped with a timer and see the battery life. Closed system – All Spectra pumps are closed system which means there is a barrier between the milk collection kit and the tubing so no milk or moisture can enter the pump tubes or motor. Powerful pump motor you come to expect from Spectra with a maximum suction of 260mmHg. 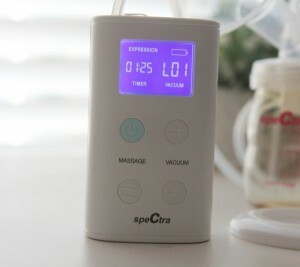 The Spectra S2 is a very popular pump and moms often wish to know the difference when comparing it with the Spectra 9. The S2 is hospital grade and has stronger pump strength at 280mmHg versus the Spectra 9 at 260mmHg. The S2 has more option when it comes to controlling the speed and suction of the pump and allows you to save your pump settings for easy use. You cannot save your cycle settings with the Spectra 9. The Spectra 9’s pump motor is louder than the S2. Not considerably but there is a noticeable difference. Price. The Spectra 9 is less than the S2. The S2 retails for $300 while the Spectra 9 for $275. Amazon does, however, have both for sale currently! The Spectra S2 does have the edge over the Spectra 9 because of the simple fact it is hospital grade strength. The Pump strength is just something the Spectra 9 can’t compete with. But on its own, the Spectra 9 is very impressive and a strong pump in its own right. It is a great pump with a lot of power. Read my review of the Spectra S2 here! Product reviews on the Spectra 9 are overwhelmingly positive. Moms love how portable this pump is and have success pumping adequate milk using the Spectra 9. Negative reviews actually focus more around comparing the Spectra 9 to the S2. Most say the S2 has stronger suction which is true. The noise of the pump motor is another complaint though it’s not any noisier than the Medela pumps or the Ameda pumps. A hospital grade pump will always outshine one that is not hospital grade, though, the Spectra 9 is right there in terms of strength. I do think the S2 is the superior pump but the Spectra 9 stands out as a fantastic and reliable double electric pump. It is efficient, portable and easy to use but the fact it is significantly smaller than its big sister, the S2, is a huge win for moms who pump on the go. The Spectra 9 is a very impressive pump. For the price, it certainly is one of the best on the market. I would recommend this pump for moms who need the ease and convenience of a portable pump. Or moms who need a reliable and powerful pump for occasional pumping. 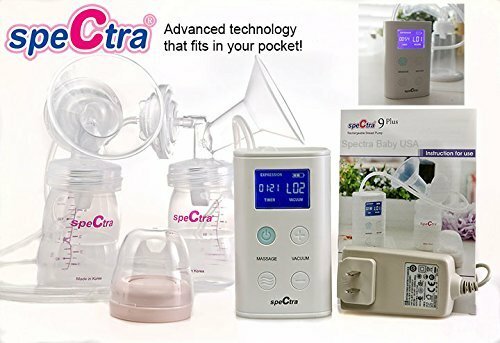 For moms who will be exclusively pumping or who will be pumping multiple times per day, I would recommend going with the Spectra S1 or Spectra S2. But if you still need the portability, then this pump is a very good option! 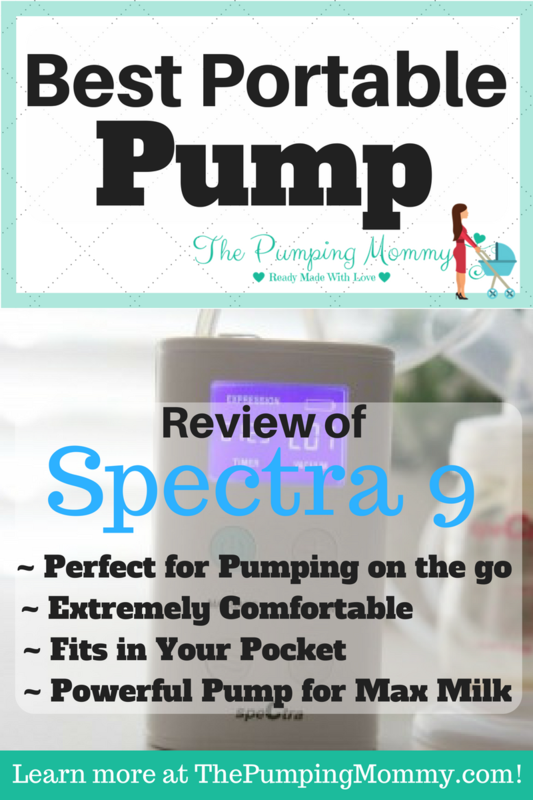 The Spectra 9 will hold up to a lot of pumping sessions but a more powerful pump may be needed for moms who pump every day. Interested in purchasing the Spectra 9? UPDATE: The Spectra 9 was out of stock for several months but as of January 2017 it is back in stock!! You can find the S9, here. Need Parts for your Spectra Pump? Visit our Spectra Pump Parts Pages, here! Find out what the Best Hands-Free Pumping Bra are! Need a Pump Bag? 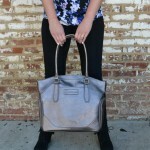 Find out why this bag is amazing!